I have a VHS of Outland which has a terrible pre-Photoshop cover which looks like Sir Sean Connery has been stuck onto the cover. Good film, though. Like most things in life, this topic is in needs of more ninjas. Is that one guys head "sweating blood" for no reason? The look on his face is like, "I tore through the sky for this?" Not so much bad art work as it is plagiarism and false information. 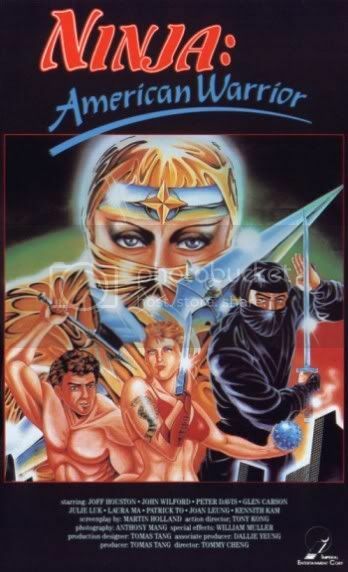 I would bet $10 that artwork is done by the same guy who did Strike Commando and RoboWar. Nah, I don't think so. Strike Commando & Robo War were directed by "Italian B-Movie maestro" Bruno Mattei in Italy. Robo Vampire, like Robo War, is a cheap cash-in on my name sake but was filmed in the U.S.A and Hong Kong by a different company. So I doubt they are related in any shape, way or form. 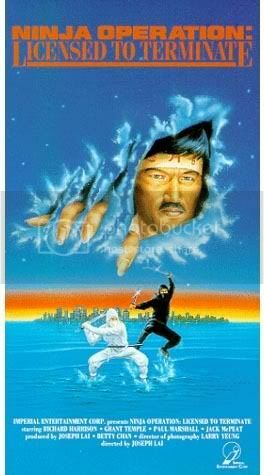 I forgot how many of those god awful ninja films were made. 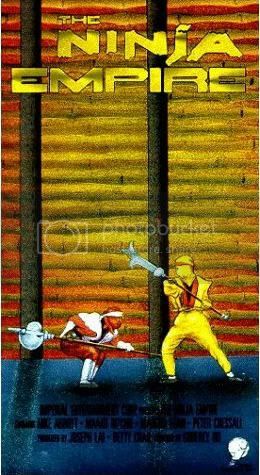 They were all pretty much the same thing too...Joseph Lai or Godfrey Ho taking an obscure martial arts film and then splicing in new scenes of ridiculous looking "ninja". They are hilariously bad. 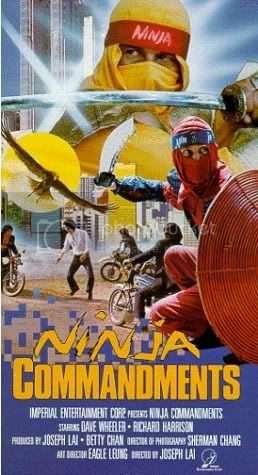 I don't know who came up with the concept that ninjas should be wearing brightly colored outfits and headbands that say the word "ninja" on them, but that person should be worshiped and showered in gold coins. We must find Pierre Kirby and team him with with Reb Brown and Dolph Lundren. I think he's registered on this site and one day he shall reveal himself.